by Rinpoche on November 30, 2012 in Poetry & Prayers, Ringu Tulku, Rinpoche's News. I used to sit at his side and ask for stories. When I was barely ten years old. Not even slightly distracted from his work. Giving guidance at every turn of my life. A master in the creation of spiritual symbolism. Until he could no longer see. For the benefit of another set of beings. But I will miss him till to my last breath. These words spontaneously arose in my mind when I heard the news that my life long friend Sherab Palden Beru passed away in Samye Ling, Scotland on 29th November, 2012.
by francois on November 29, 2012 in News, Ringu Tulku. Ringu Tulku is asking his friends and students to say prayers for Sherab Palden Beru who passed away in Samye Ling on November 29th at 3.30pm local time. You can learn more about Sherab Palden Beru on Wikipedia. by online teachings on October 27, 2012 in News, Ringu Tulku, Travel Schedule. Ringu Tulku Rinpoche is now on teaching tour in Indonesia, Hong Kong and Taiwan. In Indonesia he gave Dharma teachings and empowerments in Jakarta and visited Borobudur, the ancient Buddhist monument. Currently Rinpoche is in Hong Kong, where he talked to a full house as seen here in the photos, and is teaching for devotees in Hong Kong Tergar centre. Next week Rinpoche will visit Taiwan before returning to Sikkim in early November. Photos courtesy of Julia Liu. by francois on August 28, 2012 in Events, Ringu Tulku, Shrine Room Project. All the details about the first Bodhicharya Winter Retreat to be held in Berlin in January 2013 are now available here on the Bodhicharya Communities website. 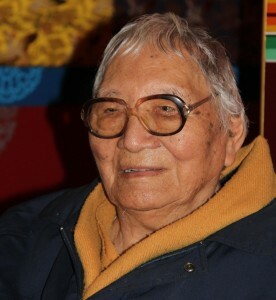 by wangdu on April 11, 2012 in Projects, Ringu Tulku, Rinpoche's News, Shrine Room Project, Website. Today I am asking you all to try and do the best you can to help Berlin Bodhicharya install heating and insulation systems to the already completed main shrine room in Berlin. Over the past 9 years Berlin Bodhicharya have devised successful strategies to raise over €2.2 million in donations from the German state, charitable institutions, generous private donors and sangha members. Due a combination of situations which were compounded by the global financial crisis unless Berlin Bodhicharya is able to raise at least €100K by October 2012 they will not be able to use the main shrine room for quite sometime. I do understand that everyone else is also living in difficult financial times, but I appeal to you to consider doing what you can do to help this project now, for three main reasons. Firstly, the completed shrine room in the Berlin centre would help us fulfill our three main objectives; healing, helping and harmony. There is a well established outreach facility already in the Berlin centre and a completed shrine room would strengthen the resolve of those helping the terminally ill. Secondly, the completed shrine room would be the spiritual heart of the Berlin centre where the existing harmony amongst the sangha would be consolidated. Finally, when HH the 17th Karmapa is able to visit us in Europe, as his official personal representative in Europe, I would very much like to invite him to a completed shrine room in Berlin. We are all part of the wider Bodhicharya family and in these financially difficult times any donation from you would be especially welcome. To help this project please click on the link below which shows how you can help both as an individual or as a group acting together. by Rinpoche on April 1, 2012 in News, Poetry & Prayers, Ringu Tulku. Who lived amongst us and only for us. And his tireless work to help us. And his other leg was about to go. It was an act to teach and inspire. All his life was a teaching and an example. To receive his teachings and blessings. Yes, I have and we all have without any doubt. The Passing of Tenga Rinpoche – A Brief Account of the Passing of Kyabje Tenga Rinpoche on Benchen Monastery Community website. 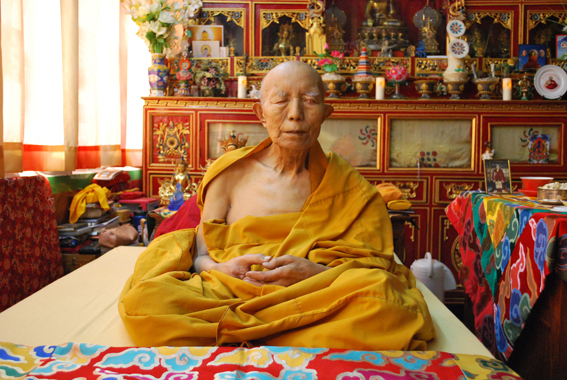 by online teachings on March 10, 2012 in News, Ringu Tulku. This is the teaser of a great new series of short video teachings given by Ringu Tulku Rinpoche on the Six Paramitas. by on February 28, 2012 in Events, Ringu Tulku, Travel Schedule. The planning for the first half of Ringu Tulku’s Summer Travels have just been completed and the organisers are busy working on the details for their centres. As you can see on the Bodhicharya Travel Schedule, Rinpoche will visit Huttenreid in Germany, Ireland, England and Scotland between 25th May and 1st July ’12. His tour will continue until mid-August (including the Summer Camp in Portugal). Details to be announced soon. by wangdu on October 21, 2011 in Ringu Tulku. When Ringu Tulku Rinpoche came to visit Lerab Ling for a few days this summer, I had a chance to show him this website (whatmeditationreallyis.com). He really liked it. I asked him if he would share a few thoughts on meditation practice that we could share. He agreed and fortunately, I quickly found someone who could make the video. This is what he said spontaneously, no rehearsal, straight and direct from the wisdom of experience to you. Sorry it took so long to get this one up. But it was worth the wait! by Minna on May 15, 2010 in Events, Ringu Tulku. 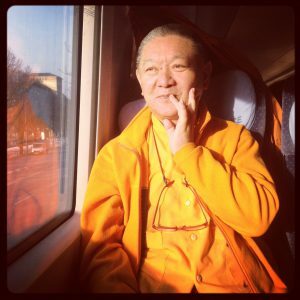 Ringu Tulku Rinpoche is now in France and teaching on The Two Truths by Patrul Rinpoche in Lerab Ling. From May 14th until the 16th there will be a live streaming video webcast of Rinpoche’s teachings which you can watch in several Rigpa centres all over the world. You can contact your local Rigpa centre for information. Many thanks to Rinpoche, Lerab Ling and the Rigpa centres for making this possible! Video streaming is also available for centres in e.g. Amsterdam, Paris, Munich, London, Sydney and Dublin. Update on May 17th: Now there is a very nice blog article about the past weekend webcast teaching in the Irish Bodhicharya blog. Update on May 23rd: Rinpoche’s recent teachings are now freely available for downloading as audio files at Rigpa Shedra website.